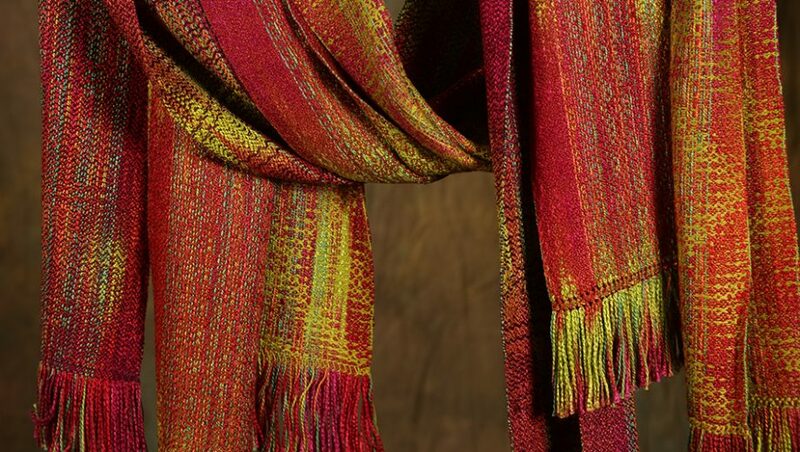 Once the calm, lustrous Time Warp shawls were finished — well, actually, even before they were off the loom — I realized that my eyes and mind needed something more lively and colorful to work on. So I laid my hands on a couple hanks of hand-dyed silk crepe yarn that I’ve been ogling for quite some time, got it all wound into balls, ran some calculations, and worked up a warp for a series of three scarves. 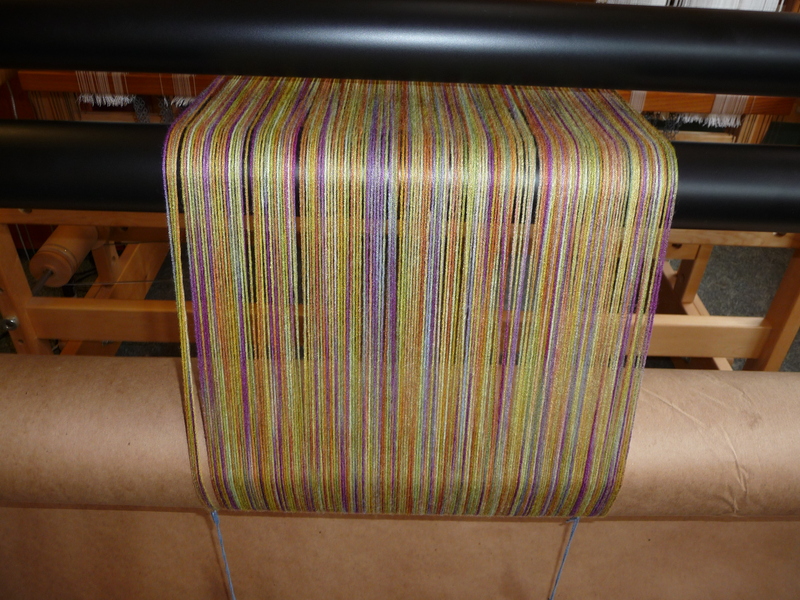 That’s the warp under nice even tension at the back of the loom, so you can see the colors before I start crossing it with other colors. 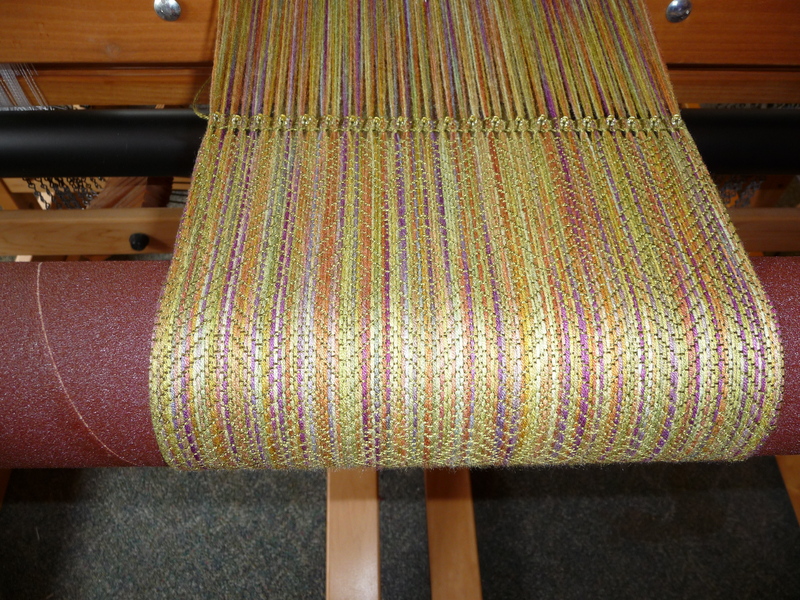 This warp was a breeze to handle, and wound on quickly and smoothly. 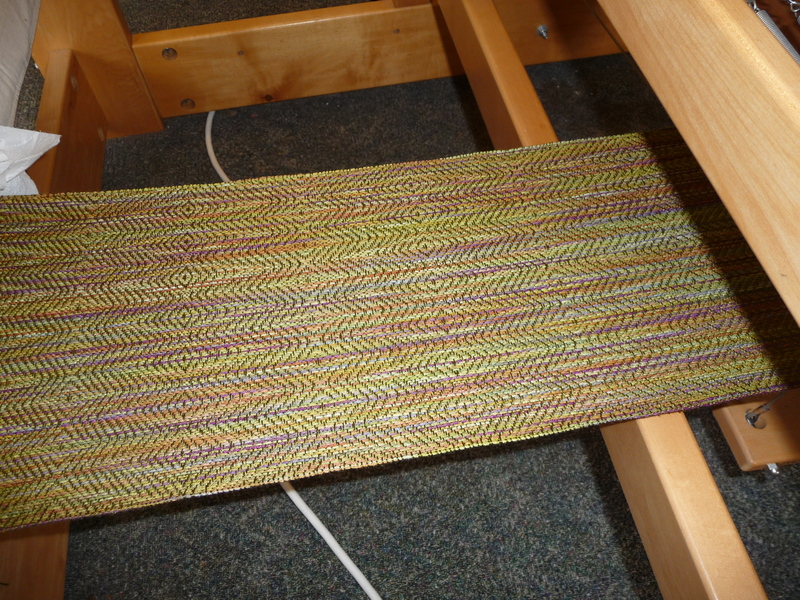 Turns out the weaving is going equally nicely, though not as quickly. Here you can see both faces of the cloth, and they’re a bit different (same with the first one), with more of the warp showing on the “right” side, and more of the weft showing on the backside. Makes the finished scarf a bit more interesting when worn, as invariably both faces show to some extent. 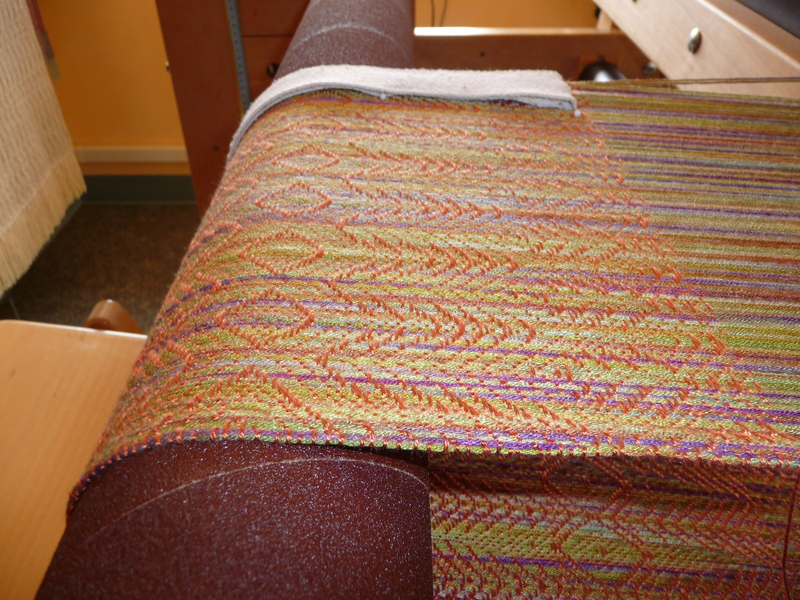 The part I love the most about this silk warp is the wonderful yellowy greens, blending nicely from bright to murky. Love those greens! These pictures are remarkably good. In person, the woven product has more depth, but having seen this with my own eyes, I can sa y the color and sheen are accurate. I see rain forest, colorful birds, green and growing stuff!